We’ve conquered the air with drones, but subterranean settings — from human-made tunnels, underground urban spaces, and natural cave networks — are often still inaccessible and dangerous to humans. CSIRO's Data61, the technology arm of Australia's national science agency, is competing in the US Defense Advanced Research Projects Agency (DARPA) Subterranean (or "SubT") Challenge , which aims to explore new approaches to rapidly map, navigate, and search underground environments. Data61's Robotics and Autonomous Systems Group, one of the leading robotics and autonomous systems research groups in the world, is the only Australian entity competing in the SubT Challenge, and one of seven teams to receive up to US$4.5 million in funding from DARPA across the three-year challenge. "We're honoured to be competing in DARPA's SubT Challenge, drawing on decades of experience in developing robots, sensing and communications systems for challenging environments like underground mines, and caves," Mr Fred Pauling, Robotics and Autonomous Systems group leader at CSIRO's Data61, said. "We're pairing our ultralight legged robots with our Hovermap GPS-denied drone autonomy technology, to create a robot team that can rapidly explore and map challenging underground environments, providing unprecedented situational awareness in time-critical scenarios such as disaster response." CSIRO Data61's SubT Challenge team will create 3D maps of underground environments through LiDAR (Light Detection and Ranging) scanners mounted on legged robots as well as unmanned aerial vehicles which can fly in GPS-denied environments without a human controller. 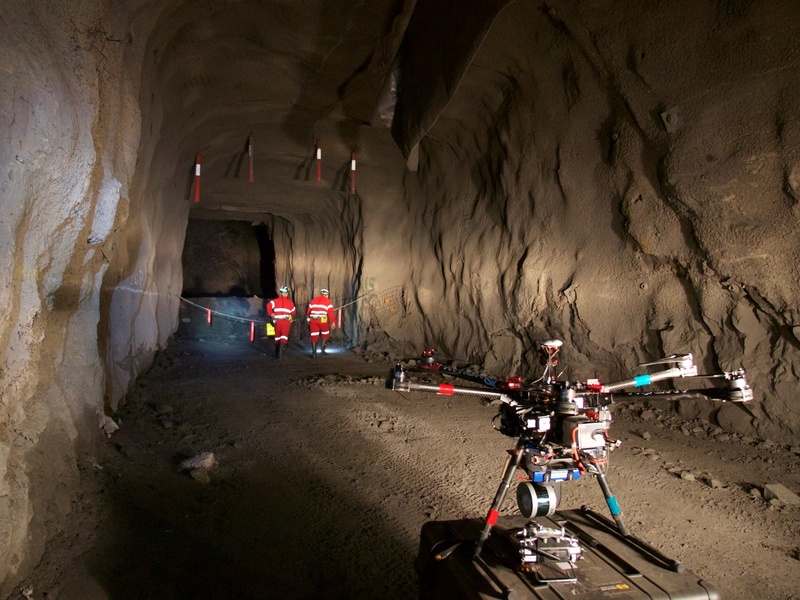 Last year, the Hovermap technology enabled the world's first fully autonomous beyond line-of-sight drone flight in an underground mine, 600 metres below the surface in Western Australia. Once developed, the robotics and network technology can help human first responders in understanding and exploring hazardous underground environments and also has applications across a range of industries including mining, transport, building and construction and agriculture. The SubT Challenge team comprises nearly 30 people from CSIRO's Data61 Robotics and Autonomous Systems research group, students from QUT and the University of Queensland as well as two funded partners including the Georgia Institute of Technology, led by renowned robo-ethicist, Professor Ron Arkin. Hovermap lidar mapping and autonomy payload fitted to drone for underground mine mapping.